Interesting stories and anecdotes that reach into insights I have gained abroad. 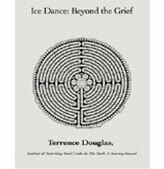 Healing Grief, On-line Course, by Terry Douglas. Healing Grief Page that captures a journey of healing following deep loss. Prayer: I discovered that ancient path in fellowship last evening with two former warriors—one a contemporary, the second could be my son, causing me to reflect on the ancient paths I have travelled. Lord, continue to accompany me. Response: Your ancient path leads you to the ocean at first light when you anticipate a day of challenge, warmth, fellowship, and peace—not that you don’t wander off into a sandy bluff inadvertently. Your path is distinguished by those, whom you encounter, the attention you devote to the meeting, and the peace you convey. Though it is a familiar path there are turns not anticipated, thoughts that may inspire you as well as well as fatigue that cautions you to stop at the inn you are approaching and meeting and sharing with travelers who are also seeking rest and encouragement. How often is it when you affirm that you also find rest for your soul, as the Lord proclaims in the anointed words of Jeremiah. Praise God! 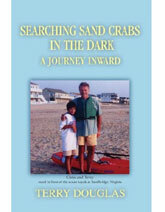 a book of Christian meditations from a father's perspective. Buy all of Terry's Books Here!